The story of “Lost in the New Real” follows Mr. L, a twenty-first century man who was cryopreserved at the moment of clinical death from a terminal disease. The album begins as Mr. L is being revived at a point in the distant future, when technology has advanced enough to cure his disease. Mr L finds himself in a world that has drastically changed — to the point that the line between what’s real and what’s not is no longer clear. Mr. L’s appointed psychological advisor (played by Rutger Hauer) is tasked with helping him emotionally adapt to this strange new world. 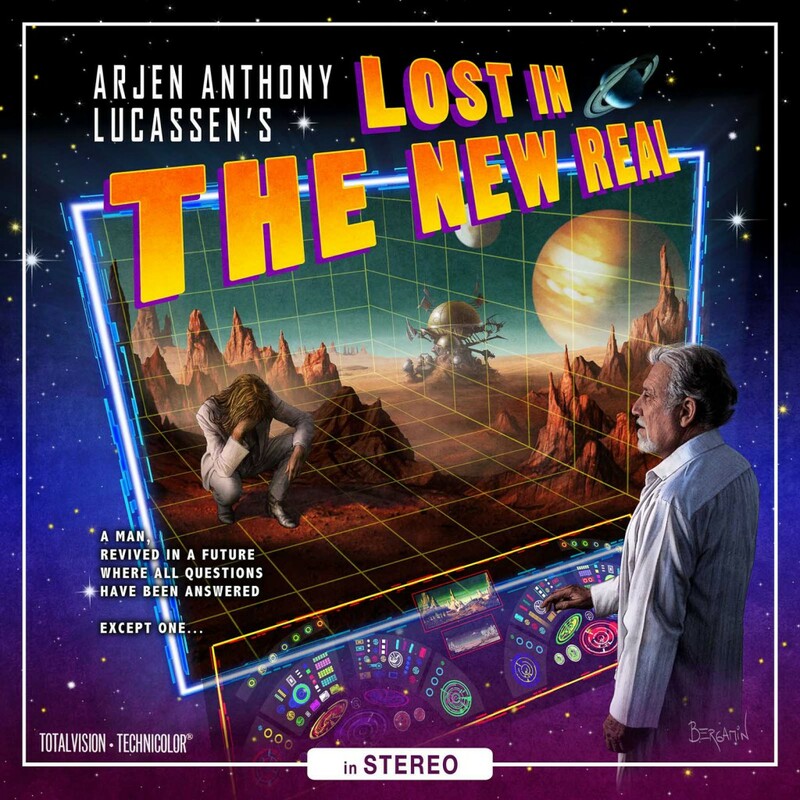 The songs on CD1 follow the main character Mr. L’s emotional journey as he is confronted with both serious and comical aspects of the “New Real”, and desperately tries to decide if he can find a meaningful place within it. CD2 is a mix of songs that are part of the concept but didn’t fit on CD1, and cover songs that are (more or less) related to the concept. As Arjen’s fans have come to expect, informative and humorous ‘behind the scenes’ videos are added to both CDs as CD-rom tracks. This beautiful 2-CD Limited Edition Mediabook is illustrated by the striking artwork of Claudio Bergamin.